The Gilded Lily takes tree illumination to visionary delights. 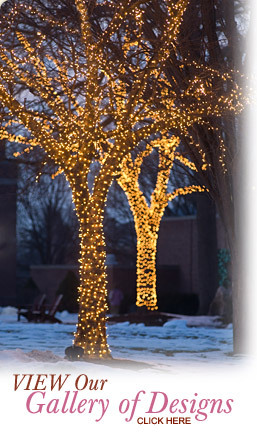 We create tree lighting for your Summer patio enjoyment, to exciting holiday displays. We provide year-round interest to golf courses, college campuses, private homes, etc. 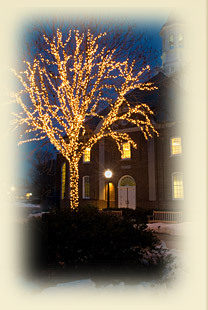 The Gilded Lily custom creates all electrical cording for each tree to be illuminated. We hand-wrap each and every branch to illuminate your tree with hundreds of miniature lights. For year-round enjoyment, we provide light maintenance services. We use brown corded lights for optimum color choices for tree wrapping, not the normal green-wired light strands.